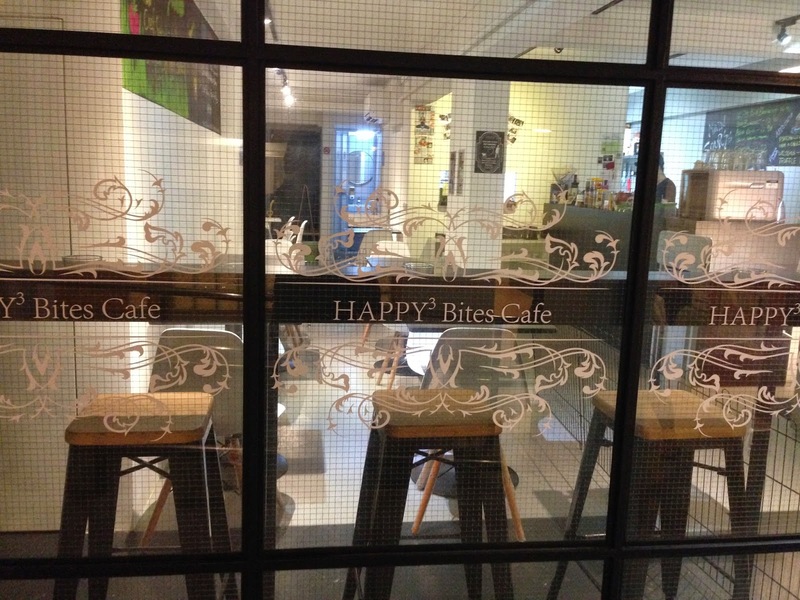 [CLOSED] Happy 3 Bites Cafe - Everton Park, Singapore | JACQSOWHAT: Food. Travel. Lifestyle. Bacon Aglio Olio ($11.90) - Thankfully the pasta wasn't a disappointment, with generous serving of bacons bits and flavourful garlic base. Other than that being too oily, overall it was good & worth the money. Chicken Cutlet ($14.90) - fried chicken cutlet marinated with herbs, along with truffle fries. It was decent but nothing special to shout about. Given the big portion with the price, it's a steal! Fish 'N Chips ($15.90) - A look at it and you know the portion is really huge. I personally like the fried potato chips which comes from real whole potatoes, especially in truffle oil dressing. Overall, it's satisfying. Durian Cheesecake - I like that fact that real durian flesh is used in the cheesecake, it goes really well with the digestive biscuits at the bottom. I kinda like the combination of it though my friends say otherwise. Overall, I wish it wasn't in a cup because there wasn't much crust at the corner. Rainbow Cake ($6.90) - "Don't judge a book by it's cover" - I can totally relate it to the rainbow cake. I feel all rainbow cakes look exceptionally pretty but the taste is definitely the focus. The one at Happy 3 Bites was a let down though, it being dry and hard.